The mission of Gallup Press is to educate and inform the people who govern, manage, teach, and lead the world's 7 billion citizens. Each book meets Gallup's requirements of integrity, trust, and independence and is based on Gallup-approved science and research. 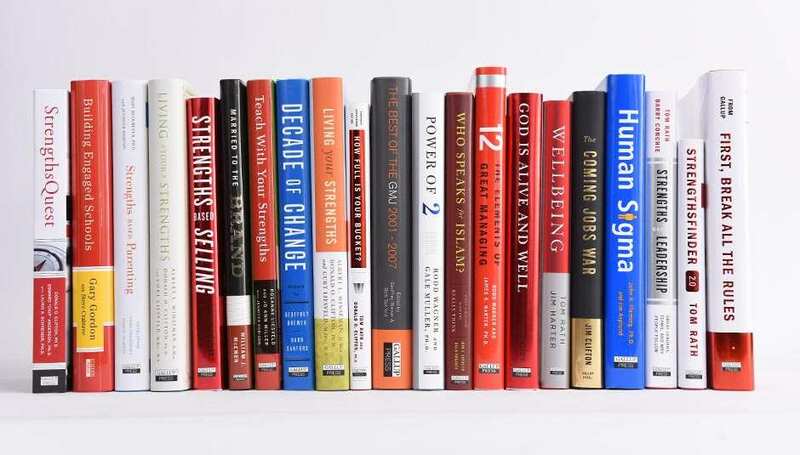 The impressive Gallup Press catalog consists of more than 30 books on topics such as leadership, strengths, education, jobs, and well-being. Our bestselling books include Strengths Based Leadership, How Full Is Your Bucket?, and StrengthsFinder 2.0, which was Amazon's bestselling book of 2013. Send questions about permission to cite Gallup materials to permissions@gallup.com. Gallup Press books are bestsellers worldwide. Learn more about or purchase our books at the links below.